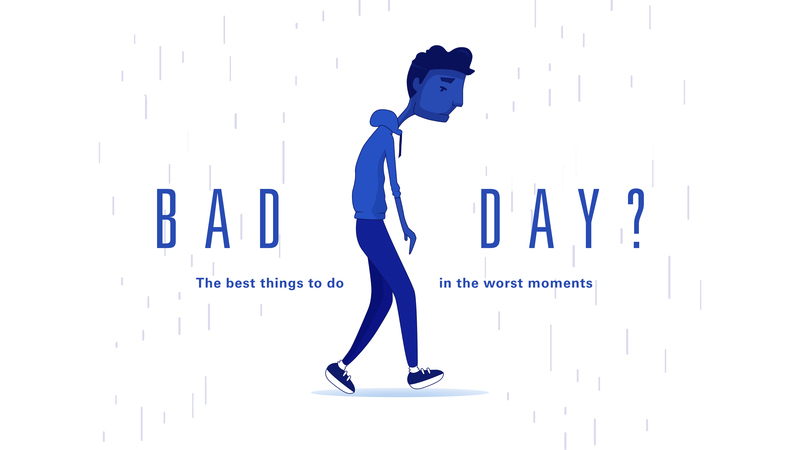 Bad Day – Why Have You Forsaken Me? Lesson 4: Why Have You Forsaken Me? WHAT DO WE DO WITH OUR WHY’S? Job 30:20 I call to you God, but you never answer; when I pray you pay no attention. Job 38:1-5 Then the Lord answered Job out of the Storm. He said: Who is this that darkens my counsel with words without knowledge? Brace yourself like a man; I will question you, and you shall answer me, “Where were you when I laid the earth’s foundation? Tell me if you understand who marked off its dimensions? Surely you know! Job 42:2-5 “I know that you can do all things; no purpose of yours can be thwarted. You asked, ‘Who is this that obscures my plans without knowledge?’ Surely I spoke of things I did not understand, things too wonderful for me to know… ears had heard of you, but now my eyes have seen you. Colossians 1:16-17 For everything, absolutely everything... everything got its start in him and finds its purpose in him. He was there before any of it came into existence and holds It all together right up to this moment. Isaiah 55:8-9 “For my thoughts are not your thoughts, neither are your ways my ways,” declares the Lord. ”As the heavens are higher than the earth, so are my ways higher than your ways and my thoughts than your thoughts. Psalm 46:9 God is our refuge and strength. An ever-present help in time of trouble. If I go up to the heavens, you are there. If I make my bed in the depths of the earth, you are there. Isaiah 43:2 When you pass through the waters, I will be with you. Isaiah 43:5 Do not be afraid for I am with you.